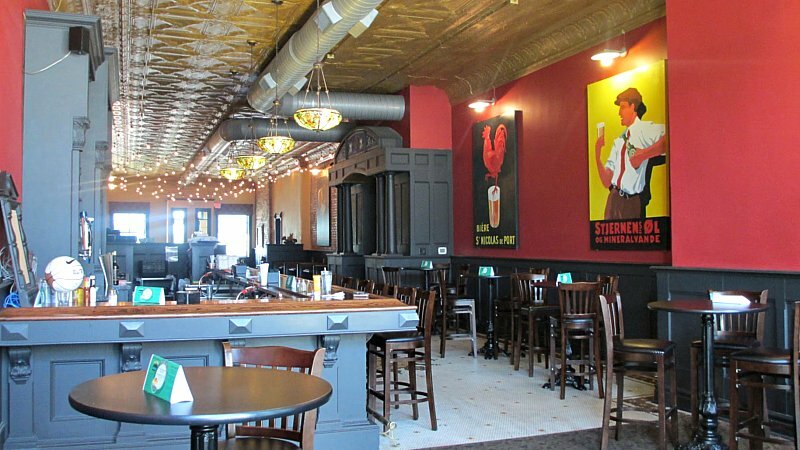 The number of craft breweries in Iowa has grown over the years, and several operate restaurant pubs in towns small or large. 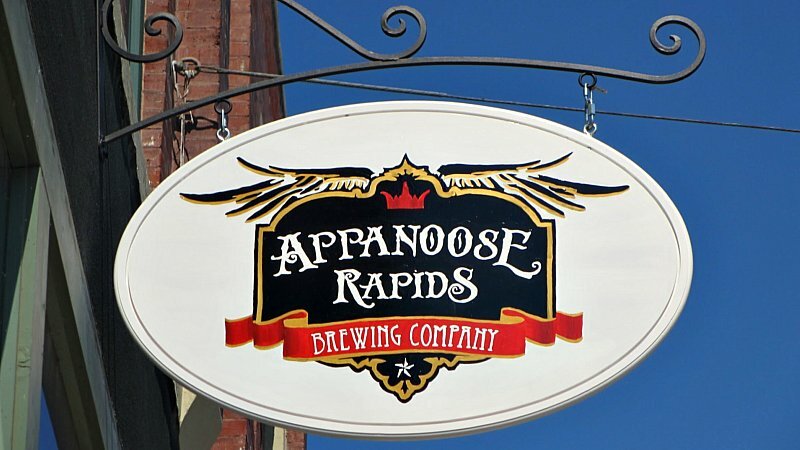 These brew houses are popping up here and there and everywhere. Many rehabilitate huge historic Main St. spaces into upscale dining and drinking destinations. Its not a mistake when the same business model works in nearby Knoxville and Albia along with other places across Iowa. 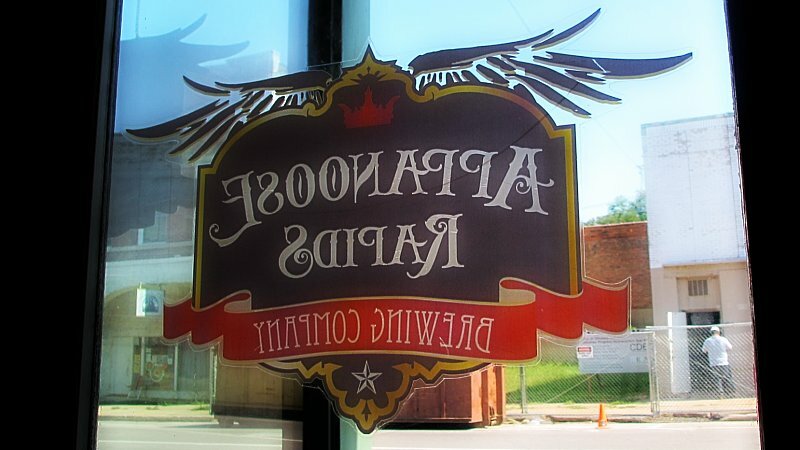 Location: 332 E Main St in Ottumwa, Iowa. Directions: reach Main St by turning off the viaduct just north of the river. 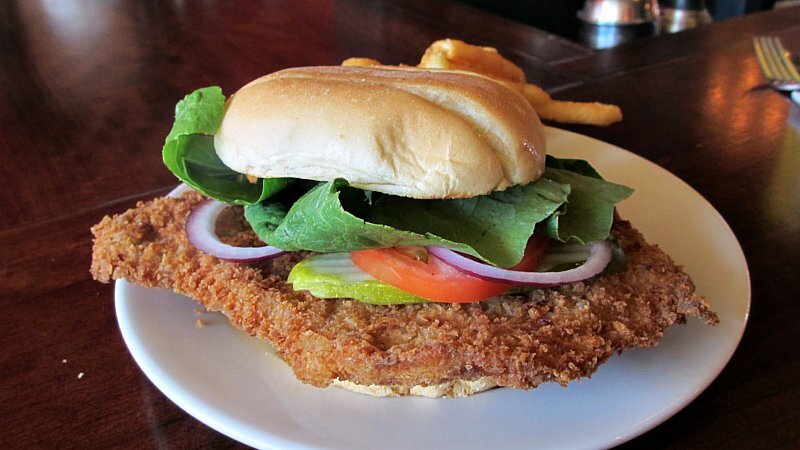 The Tenderloin: A little crown on the menu meant this was a house specialty. The meat was in the classic pounded out triangle shape cut of pork loin. One side was twice as thick as the other, but this was juicy throughout. 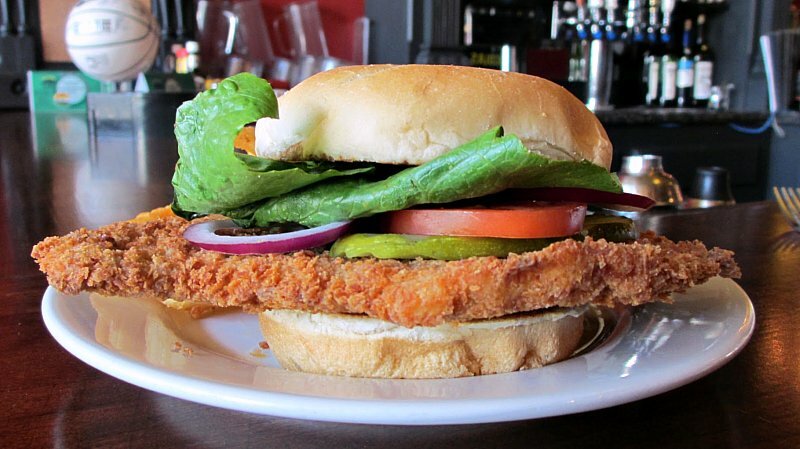 The breading could best be described as flaky and had a good crunch quotient. I couldn't remember any distinct flavor to the seasoning, but it had a golden brown color. Served on a toasted bun with all the fixings. Overall 7.2 out of ten. 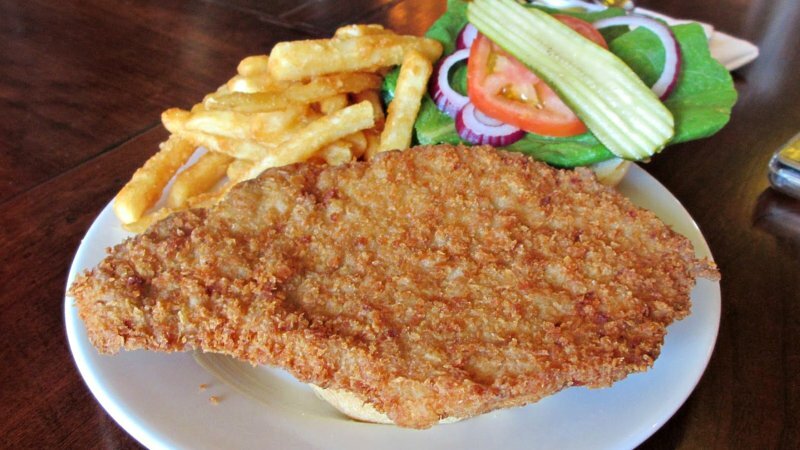 Price: $8.95 with a side of perfect crisp beer battered fries, the crown on the menu means its their specialty. Also on the menu: The brewpub menu is eclectic with the usual burgers, pasta, and salads but some inspired stuff like thai wanton tacos. Service: There is table service available but I just ate at the bar. Ambiance: The renovation of the historic building to open the brewery restaurant is impressive. The ceilings are high, the lighting is good, and foreign liquor posters hang from the walls. There is seating in the back and a bar service area near the entrance. 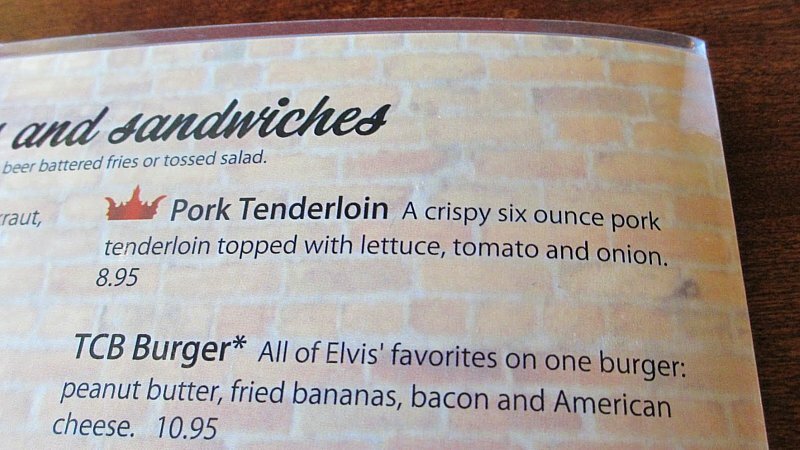 Final Thoughts: My internet searching indicates there was once a place named Ellis' that served tenderloins in Ottumwa. I guess its long gone by now. My next stop here will probably be Noe's Bar on the south side of town.